Friday evening’s meeting was a cheerful one despite the theme of "Dead Countries"! 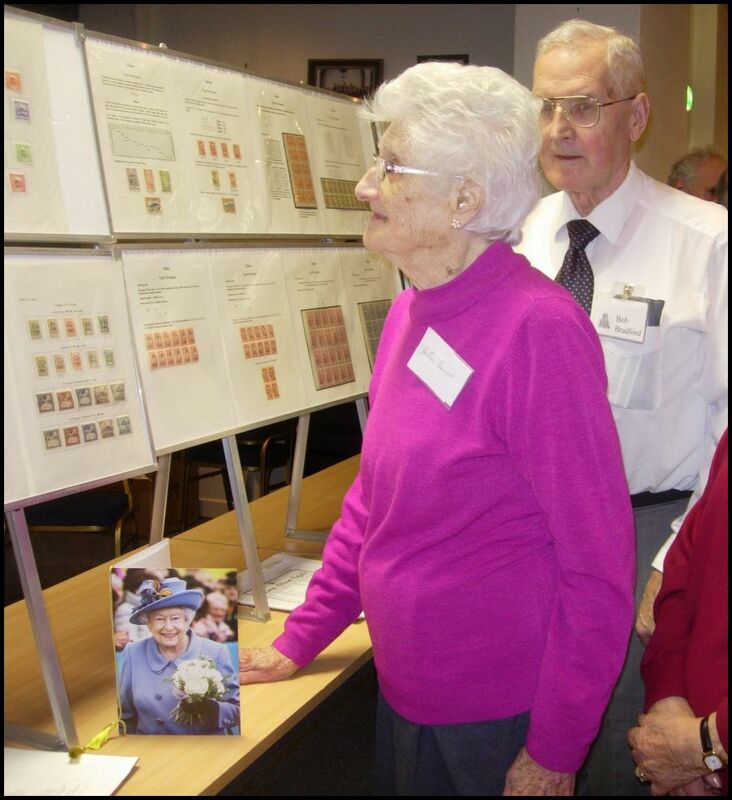 Wonderful displays of Stamps, Postage Dues, Overprints, Covers, Postal Stationery were presented by various members. First, a very warm welcome was given to member, Mrs Helen Bruce, who celebrated her 100th birthday on the 4th February. It was with delight that she showed the members the card she received from the Queen. Walter Tytherleigh set off the evening with "Danzig" and displayed the original German stamps of 1920 overprinted with Danzig – and the country’s later own issues. In 1939 Danzig was annexed to Germany. Albert Tong displayed "Ryukyu Islands" – a number of islands off the eastern coast of Japan. Originally an independent kingdom – they were a band of contention between China and Japan. They were occupied by the USA in 1945 and given to Japan to 1972. Duncan McIntyre presented a great display of stamps issued by "Newfoundland" during the years 1866 – 1936 when it was a self-governing Colony. Ken Norris also displayed "Newfoundland" and showed commemorative Covers issued from 1935 - when it became the Dominion of Newfoundland – through to 1949 when it joined the Canadian Confederation. Bob Bradford explained the very confused history of "Cilicia" - originally in Turkish Area of Asia Minor. From 1918 – 1921 it was controlled by France and Turkish stamps were overprinted with "T.E.O. Cilicie" (Territoires Ennemis Occupés). In 1921 it was relinquished to Turkey. "Silesia" was in Central Europe and in 1920 issued stamps of Czechoslovakia overprinted with S.O. 1920. After WW1 the country was divided to various surrounding countries. Gordon Shepherd presented "Northern Rhodesia" - a country administered by the British South African Company. The display of stamps began from the first issue in 1925 to the last issue in 1963. The country became independent in 1964 as Zambia. Jim Fulton gave a humorous account of his display of various Dead countries – East Silesia Plebiscite; Eastern Rumelia (1878-1885); Lajtabanat (October-November 1921); Carpatha Ukraine (1938-1939); Südentenland; Ionian State; and Czechoslovakia. Derek Wiltshire presented an interesting display of Postal stationery issued by the "Independent State of the Congo, 1886-1908" - also stamps issued at this same time. It became a colony of the Belgian Congo in 1908. David Haig gave displays of stamps of two South African countries – both of which served as Independent countries but neither of which was ever officially recognised – Transkei (1976-1994) & Ciskei (1981-1994). Finally, Bob Bradford now gave a display of stamps and postal material of the Post Offices of the Levant. Maureen Mathieson led members in thanking all who had displayed – and had given most enjoyable and informative talks about the countries displayed. Our next meeting in the Hamilton Caledonian Bowling Club, Motherwell Road, Hamilton, is on Friday, 1st March, 2019, at 7:30pm when George Henshilwood will give his display of "Greenland".